A lot of people are known for there consecration and there constructives actions. 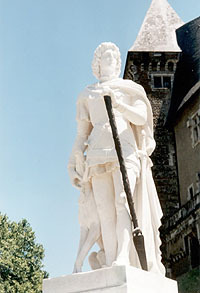 More famous are Henri IV , was born in castle of Pau, son of Jeanne d'Albret and of Antoine de Bourbon. We have not forgotten Gaston Fébus who construct in Béarn fortifications and we can see his emblem in the castle in Béarn.